Northeast Foundation and Concrete, Inc. Comment: Back yard deck poured and stamped sealed almost flat grade app 12' X 12'. Palmyra Concrete Contractors are rated 4.65 out of 5 based on 757 reviews of 28 pros. 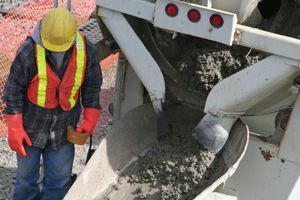 Not Looking for Concrete Contractors in Palmyra, PA?